My picture of the egg aisle in a Paris grocery. My pregnancy diet and my non-pregnancy diet are not much different. I don't regularly eat many of the things "they" tell pregnant women not to eat - with one exception - raw eggs in cookie dough. 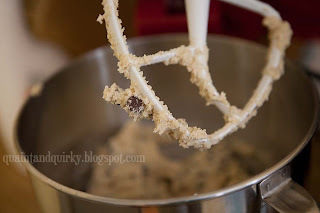 I love cookie dough so much more than the actual cookies themselves, but the raw eggs scare me enough to make me not eat cookie dough while pregnant. I know that people have differing view points on raw eggs. 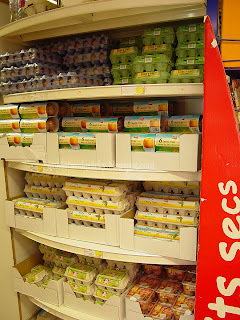 When we were honeymooning in Paris, they kept the eggs in the regular food aisles - not refrigerated at all! It's my understanding that it's because their eggs go onto the shelves fresher than in America. Anyway, it's not a risk I'm taking just to eat some cookie dough, so I made the cookie dough egg free! 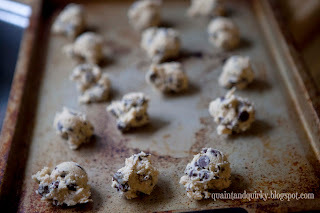 These are also good if you want some cookie taste without turning on the oven on a hot day! Cream butter, sugar, and vanilla. I cream them for a long time. 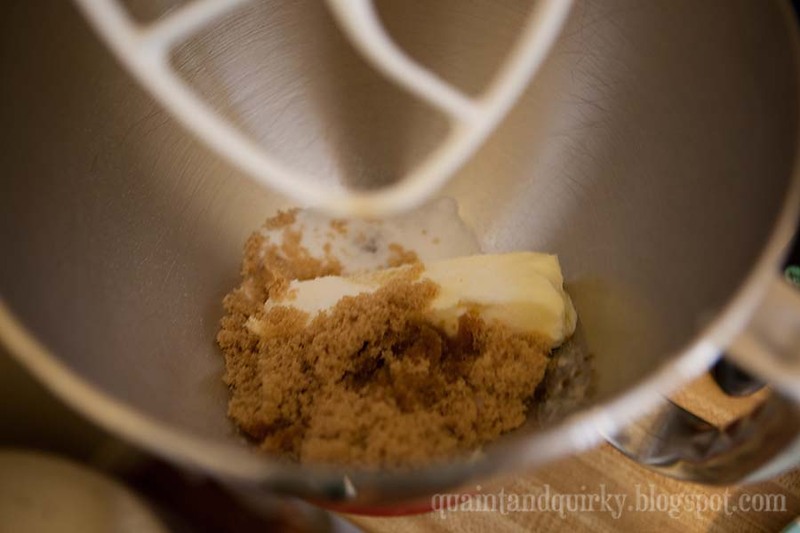 Add the flour, salt, and baking powder. The baking powder isn't really necessary because the cookie dough doesn't need any help rising, but for taste purposes, I add it in. Blend it all together. 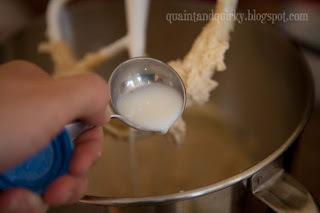 Add the 2 tablespoons milk. You might need to add slightly less or more, depending on your location. Two usually works for me! 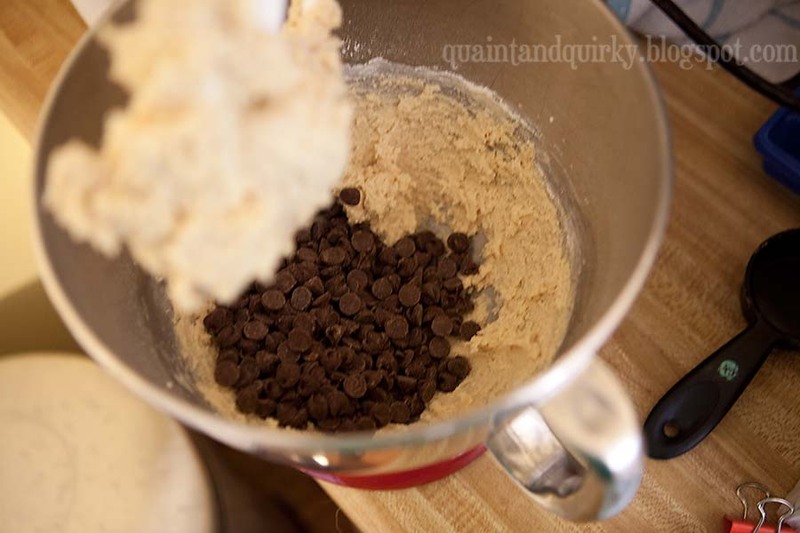 When the dough is a good consistency, add the chocolate chips. Place spoonfuls on a cookie sheet and refrigerate or freeze. Now, I might have to go make some more! YUM! I am totally going to make this. 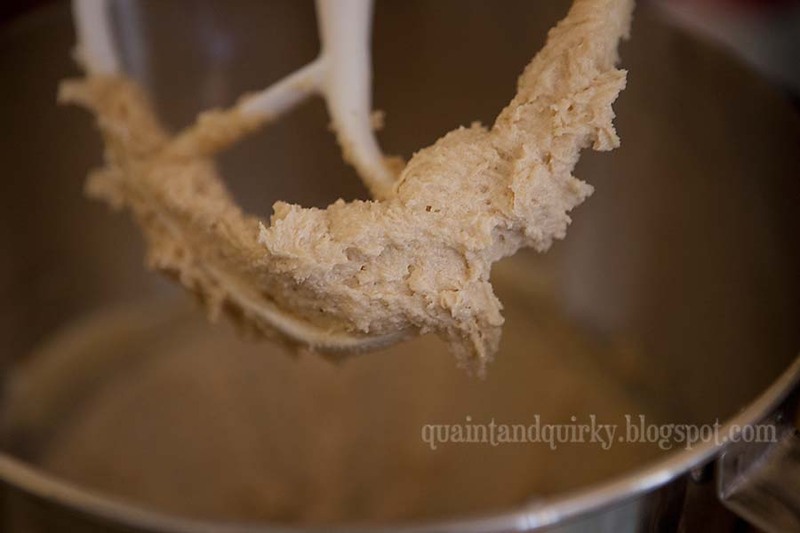 I love eating cookie dough, but like you, I don't want to eat it while pregnant or nursing! Oh, the sacrifices we make :) Thanks for sharing!